Palaui Island, Philippines ranked as the 10th in Cable News Network's (CNN) choice of 100 best beaches in the world in a feature story on May 31, 2013. 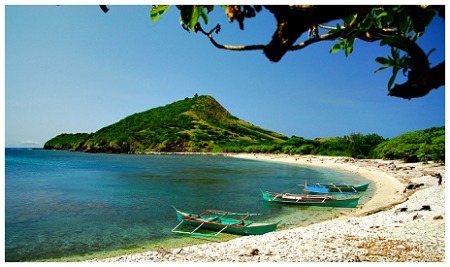 This is the second time that the island has been acknowledged by CNN, after being regarded as the third top beach in the same network’s feature on top ten beaches and islands in the Philippines in April 2012. In the article posted on the CNN last month, the island was referred to be all about raw beauty as “glorious white sands meet volcanic rocks and blue-green waters topside, while coral gardens and a rich marine reserve meet divers under the surface.” Wild adventures can be experienced with treks that “require battling thorny grass, muddy ground and a mangrove forest,” CNN added. Palaui Island, which is located in Santa, Ana, Cagayan Valley, is an excellent example of a virgin natural beauty at its best. Being a protected area and marine sanctuary, under the National Integrated Protected Areas System (NIPAS) Law, the island has maintained its rich bio-diversity. Chen Mencias, a consultant specializing on sustainable tourism development planning among others, has described the island as a hotspot of globally endangered species of mammals, birds and plants and as one “dotted with coralline beaches, tall forest trees, seagrass meadows, mangroves, cliffs, tidal pools, springs, waterfalls, rock formations, islets and even a centuries-old Spanish lighthouse”. Mencias has regarded the island as a natural and cultural heritage and partly attributed this to its inclusion to the 54,000 hectare Cagayan Special Economic Zone and Freeport (CSEZFP). The CSEZFP is being managed by the Cagayan Economic Zone Authority (CEZA), which has played a major role in promoting the island as an eco-tourism destination through the development of a Community-based Sustainable Tourism (CBST) project for local community in 2006. The island now devotes to environmentally-friendly practices such as resorting to solar power for its energy source and designating a Nature Village wherein the tourists may camp, experience island home-stay, and interact with the locals. CEZA Deputy Administrator Geoffrey Cabalza expressed how it has been a challenge for CEZA on how to establish a tourism campaign that would promote the island as an eco-tourism destination and, at the same time, establish a CBST that would allow self-sufficiency in the long run. CBST projects have involved a series of trainings that has integrated capacity building and environmental awareness for the tourist operators of the Cagayan Freeport. The local community now serves the tourists with a number of services and activities, such as boat transportation, tour guides, packed lunch, and snorkelling among others. More projects that involve local groups such as the Santa Ana Hotel and Restaurant Association (SAHARA), a group of local hotel and restaurant owners, and local tour operators, can be anticipated in the long run to assure of more adventurous experience not only in the island but also in other CSEZFP destinations. CEZA has also done a series of conservation efforts through its own initiative to safeguard sustainability. Its Clam Seeding Project in 2009, for one, now proves successful with the local community’s observation of increased marine lives at the project site, thereby making it a fish sanctuary. Efforts to promote tourism without having to compromise the environment also include the establishment of an Eco-Zone Visitor Center that intends to educate the tourists about safety measures and proper behaviour when visiting the destinations, especially Palaui Island. It has also worked closely with both public and private sectors in the fulfilment of its undertakings related to this project. When asked about what has made Palaui a top ten beach destination in the world, Cabalza stressed the importance of multi-sectoral cooperation, referring to CEZA and its partner agencies - the Protected Area Management Board (PAMB), the Department of Tourism (DOT), Department of Environment and Natural Resources (DENR), local government unit and environment consultants - which have worked hand-in-hand in the preservation and promotion of this island.